A repeat of the 2015 final was confirmed in the last round of group matches for the men. South Africa thrashed Kenya in the first match while Egypt humbled Ghana to secure a place in the final. The final showdown will be a record 8th time the top two ranked teams will meet. Defending Champions, South Africa made it to their 8th consecutive final of the Africa cup of nations with a win over Kenya in the men’s first game of the day. The champions who were held by Egypt on Thursday, came in strong to win and book a place in the final . Eustice Jethro (South Africa) opened the gates with his first goal of the tournament in the 18th minute. The tally was doubled a minute later by Rosenburg Reza but Wakhura Constant gave a quick reply to reduce the deficit for Kenya in the 19th minute. The goal rejuvenated the Kenyans to go all out and surprise the Champions but Horne Keenan dashed those hopes as he restored the two goal lead in the 34th minute before Daniel bell made it 4-1 in the 37th minute from a penalty corner. Robinson Jonathan made it 5 for the champions in the 46th minute from another penalty corner before Horne grabbed his brace in the 48th minute to make it 6-1 in favour of South Africa. 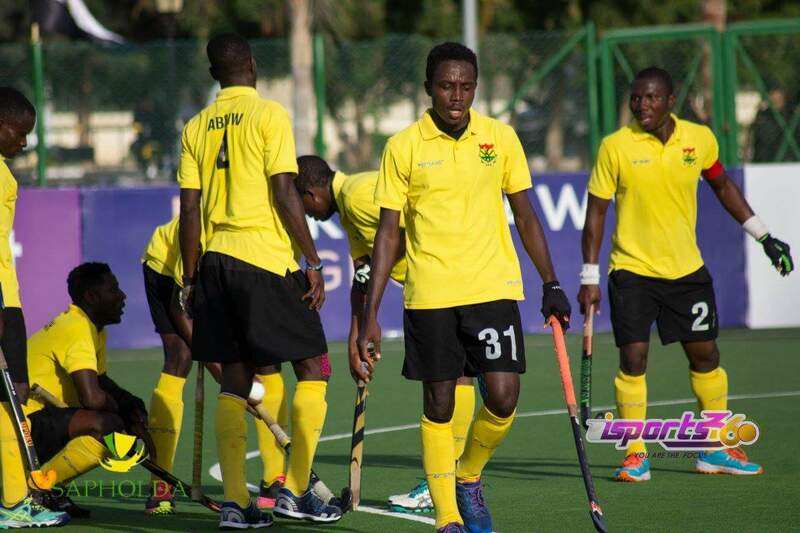 In the men’s final group game, it was Ghana’s black sticks with the aim of bringing an end to the South Africa-Egypt final dominance who came up against host Egypt. Egypt led the group with 7 points while Ghana were 3rd with 6 points hence a win for either sides will secure a place in the final with South Africa. Both teams knowing this, came in tactically disciplined and this was evident in the first and second quarters as it ended barren. Atef Hamada broke the deadlock in the 33rd minute and added another in the 38th minute both from a penalty corner to make it 2-0 in favor of Egypt. Zaki Mohammed made it 3 in the 46th minute with El-Ganaini Ahmed rounding up a perfect victory from another penalty corner in the 51st minute. Egypt won the game by 4-0. The very obvious final comes into being as South Africa makes a date with Egypt on Sunday 29th October, 2017 while Ghana also face Kenya earlier in the 3rd place match which is also becoming a familiar fixture.